In the auto parts industry of fifty years ago, the answer would usually be a resounding – nothing, you don’t have any other choice. Fifty years ago the ONLY options for replacing a majority of the parts on our vehicle was to purchase them from the OEM(original equipment manufacturer) or buy a used part from a wrecking yard. The aftermarket parts industry has exploded since then and has become both a boon and a bust for those of us who work on our own vehicles. Trying to get a Handle on it. 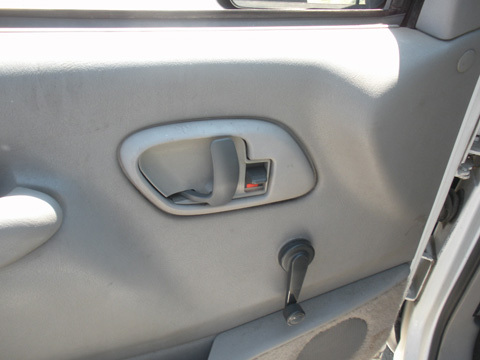 Let’s take a look at just one small example – A driver’s door handle – Which part is better? The original part designer (OEM) was handicapped from the start – having to balance weight, strength, and cost when designing the handle. As long as the design makes it through the warranty period without breaking – mission accomplished. The only time they will redesign a part is if it costs them more to keep replacing the part under warranty than it would to redesign it. The primary advantage here is that the aftermarket designer is working on a design FIX for an already known fault. The expensive real world testing has already been done by John Q Public at no cost to them. If a part ALWAYS breaks because there is too much stress in one hinge location, the aftermarket designer can simply add a bit more reinforcement in the area. Unfortunately – Some aftermarket companies place cost ahead of quality and churn out knock off products that are even worse than the oem defective design. Fortunately – Some do take the time to create a product that is better than the original and still cheaper than the original. This is where the knowledgeable salespeople at NNAWG can help you make the best decision on which part is right for you and your particular needs. Our salespeople will be able to tell you if your problem on your model is a common occurrence or just a freak event. No matter which way you go, OEM or Aftermarket, The salespeople at NNAWG can fix it so your Dukes of Hazzard vehicle entry days are over!